1. Marc Jacobs Daisy Kiss Eau So Fresh. This Marc Jacobs perfume is perfect for any spring/summer wedding, it is fun, floral and as the name suggest beautifully fresh. Introducing top notes of pear, raspberry and grapefruit this perfume is a gorgeous day time scent to keep you smelling sweet throughout your big day. 2. Gucci Bamboo. Next up we have a classic scent from Gucci; Bamboo. This perfume is sensual, romantic and bright, perfect if you are looking for something floral but not too sweet. Notes include sparkling Mediterranean citruses and white floral heart that will make you feel soft and romantic on your special day. 3. Jimmy Choo Illicit Flower. This Jimmy Choo perfume is for all those brides that are unafraid to break the rules and want something individual. Illicit Flower opens with voluptuous notes of apricot, zest of mandarin and floral notes of freesia yet in the base there is sensual woody notes of cashmeran and sandalwood. This scent is completely intoxicating and guaranteed to transport you back to your big day every time you catch the aroma. 4. Sarah Jessica Parker Lovely. This classic fragrance is described as a soft, powdery and intimate fragrance and majorly feminine. It’s the perfect scent for a spring wedding as it has notes of rosewood, lavender and white orchid that fuse together to create a discreet and delicate scent. If you want something that won’t overpower you on your wedding day then this is the one. 5. Paco Rabanne Olympea. Every bride wants to feel like a goddess on her big day and Paco Rabanne Olympea will make you feel just that! It is an utterly irresistible fragrance that will make you feel like a Queen. The fragrance has a mix of sensuality and freshness with notes of salty vanilla accord and floral ginger lily and hydroponic jasmine. Totally hypnotic! 6. Armani Si EDT. 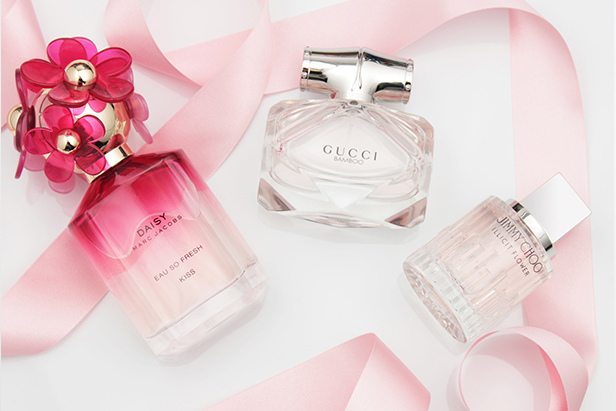 For the bride who wants to walk down the aisle smelling of roses. 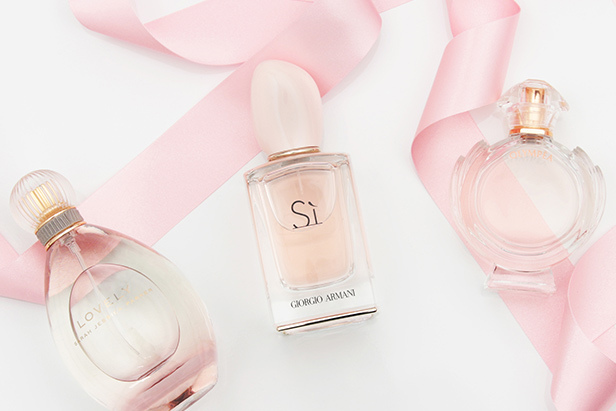 Armani Si is the perfect floral and feminine scent for every bride. The Eau De Toilette version is lighter than the original Eau De Parfum and therefore ideal for a spring wedding. 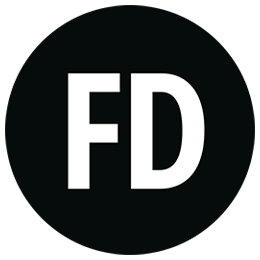 Notes include blackcurrant, pear, neroli, floral freesia and rose. 7. Bulgari Rose Goldea. The newest addition to the Bulgari family, Rose Goldea is beautifully captivating. A spell-binding combination of Rose and White Musk that is deeply seductive and will anchor itself in your memory. The gorgeous rose gold bottle will be something you want to keep forever as a momentum of your big day. 8. 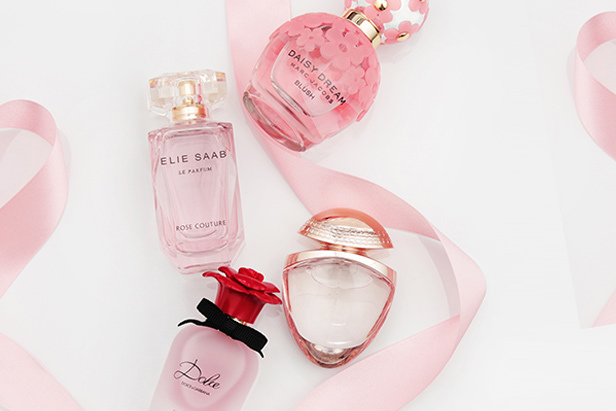 Dolce and Gabbana Dolce Rosa Excelsa. Dolce Rosa Excelsa truly captures rose petals in bloom and is a symbol of love, beauty and romance, what could be more perfect for your wedding day? The perfume opens with notes of neroli leaves, papaya and white water lily moving through to heart notes of African dog rose and Turkish rose absolute. 9. Marc Jacobs Daisy Dream Blush. Marc Jacobs Daisy Dream Blush perfume is an airy blend of lush florals, a gorgeous fresh, light scent that’s perfect for the English spring/summer wedding. The fragrance is filled with notes of violet leaves, rose, and lily of the valley. 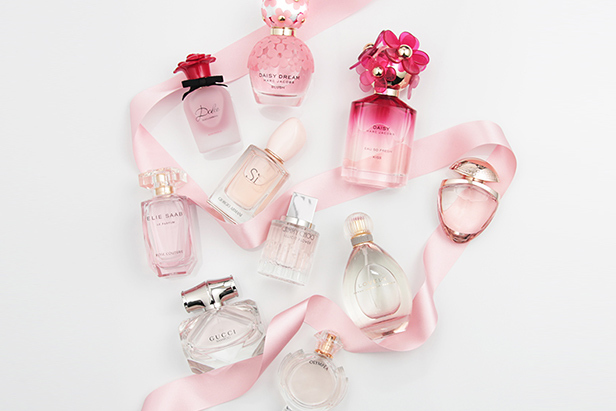 This perfume is definitely one that lasts all day long. 10. Elie Saab Rose Couture. Elie Saab Rose Couture will make you feel like the most important woman in the world on your wedding day. Combining couture and perfume, this scent will be a real treat for your big day. The fragrance opens with floral poetry of peony-rose accord and luminous orange blossom mingles with jasmine and rose nectar to create a soft, floral scent.